ORGANIZATION CREATED TO HELP YOU FIND RESOURCES AND ANSWERS TO ALL YOUR BUSINESS NEEDS. 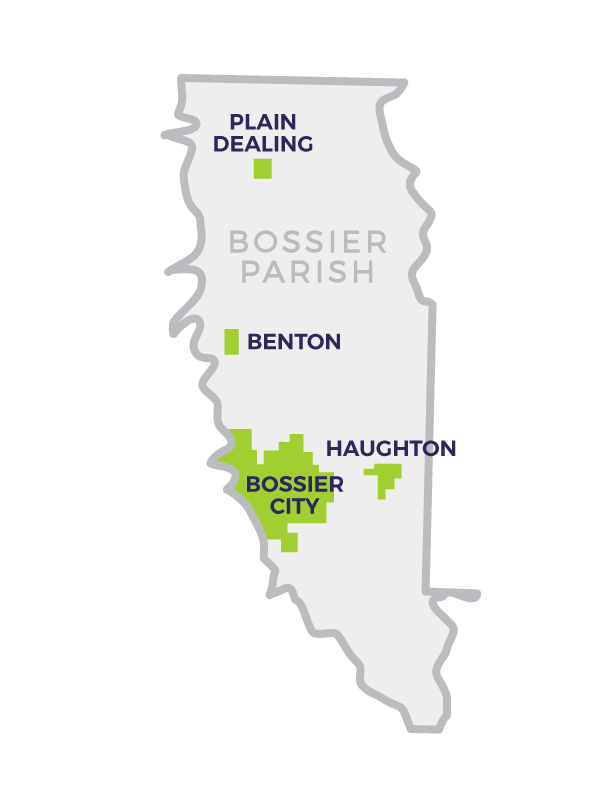 Bossier Parish is located in the northwestern part of the U.S. state of Louisiana. The Parish seat is Benton and the principal city is Bossier City, which is located east of the Red River and across from the city of Shreveport. Bossier Parish is part of the Shreveport – Bossier City metropolitan area. Click on a community on the map to explore demographics and statistics.